DNS Associates is a reputed national accounting company offering the best quality accounting services in Reading and all over the UK. We provide a wide range of services and are specialists in assisting contractors. With DNS Associates you can be assured of quality and competence with a strong commitment to deliver results. WHY CHOOSE DNS ASSOCIATES AS YOUR CONTRACTOR ACCOUNTANT? 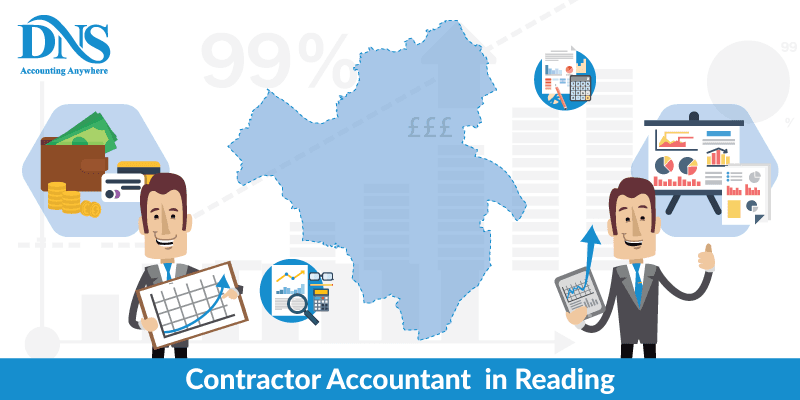 DNS Associates is among the top 10 contractor accountants of Reading. We are an award winning accounting firm and have served more than 1500 contractors. We extend services beyond the regular accounting tasks and include comprehensive solutions to pave the way for your success. At DNS Associates we have extensive experience in handling the requirements of contractors. We have helped contractors from varied business fields including management consultants, engineers, health professionals, interim managers and computer contractors. 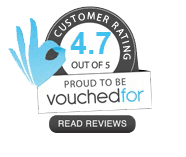 Our focus is to offer you the highest standard accounting services and ensure that you are complying with rules and regulations so that you are protected from the HMRC enquiries. In case you do not have enough time during the weekdays to manage your accounts, we are available even on weekends to take of your needs. We will arrange meetings according to your convenience. We provide each client with a dedicated accounts manager who will handle all their needs right from the beginning. This will make things convenient and hassle free for you. Our services and contractor accountants fees are priced at reasonable rates. You no longer have to be concerned about delays as we are always swift in handling and resolving your queries. Whether it is through emails or telephone calls, we are always available to help you. From our experience in dealing with contractors, we have witnessed the common mistakes they commit. Most of them fail to make expense claims they are entitled to and try to manage accounts on their own. The worst case in when they choose an accountant without sufficient expertise in assisting contractors. At DNS Associates we realize that you require more than just the standard accounting services. We are different from accountants who think their duties are over once they complete the year end accounts for you. Choosing an accountant best suited for your requirements is a difficult process. You need to compare contractor accountants and the range of services they provide before making a final choice. At DNS Associates, we offer only the best quality services to our clients and this has made us a trusted name in the accounting industry as specialist accountants for contractors. We provide special packages to contractors which includes a comprehensive set of solutions to meet their requirements. We protect contractors from HMRC enquiries and ensure that they are making good financial decisions. We are also among the top tax accountants, Reading. With our services you will be able to make the most of your contracting career and maximize your earnings. The average returns for a contractor using an umbrella company is far less than what they are able to earn by using a limited company. We recommend our clients to use an umbrella company only if they intend to continue as contractors for less than three months. If you are already a contractor, it is time to reevaluate the choice you have made while choosing an accountant. Are you fully satisfied with their service? Do you feel you are missing out on something? Are you getting the maximum value for the money you pay? It is high time you set things right because an accountant can make all the difference in elevating your business to success. With our proficiency in taking care of the accounting and financial needs of contractors, we can guarantee you nothing short of the best. Just get in touch with us and we will show you the difference. As contractor accountants Reading, we have helped thousands of contractors maximize their earnings. With our online accounting portal, you can get real time information about your accounts whenever you want. This means you will always be well aware of your finances. DNS Associates are a trusted accounting firm with extensive experience in guiding contractors. With our consistent commitment and competence you can be assured of great results for your business. We also provide services to contractors in Mortimer, Arborfield, Twyford, Theale, Pangbourne, Whitchurch, Woking and Maidenhead.